All men. When Thomas Jefferson penned these famous words in the Declaration of Independence in 1776 he didn’t write “the people of the British Colonies.” He chose the words “all men” for a reason. The two principle beliefs articulated by the Declaration of Independence – Natural Law and the Right of Revolution, were not stated in narrow terms. America was setting an example for the world. Many Americans, especially those who are quick to wrap themselves in the flag and proclaim their patriotism while at the same time criticising the Arab Spring, have forgotten what our nation’s founders wrote in the Declaration of Independence. It was not a policy statement derived in a cubicle at the State Department involving careful calculations of the economic consequences of British trade policy. It wasn’t written after consultations and Powerpoint presentations by Pentagon officials. The 56 visionaries who signed the Declaration didn’t take a poll to see what popular opinion was before signing it. The Founding Fathers were stating unequivocally that freedom is a right given by nature (or God) to every human being, a principle termed Natural Law by John Locke in his Second Treatise on Government and expounded upon by Thomas Paine in Common Sense. As Benjamin Franklin famously wrote, “Freedom is not a gift bestowed upon us by other men, but a right that belongs to us by the laws of God and nature.” The Declaration of Independence coupled this belief in Natural Law with the Right of Revolution, which held that the people have the right to overthrow a government that acts against their interests. The authoritarian regimes of the Arab world do not derive their powers from the consent of the governed, and in the view of the Founding Fathers the people have the Right of Revolution – the Right of the Arab Spring – to overthrow their governments and create new ones that respect Natural Law. When a long Train of Abuses and Usurpations, pursuing invariably the same Object evinces a Design to reduce them under absolute Despotism, it is their Right, it is their Duty, to throw off such Government. The Founding Fathers clearly state in the Declaration of Independence that revolution against tyranny it is not only a right, but a duty. Since mankind is given unalienable rights by God, it is a duty – a responsibility and a necessity – to overthrow any government that violates Natural Law. Anything short of support for the Arab Spring by the United States is clearly a betrayal of the vision and values of the Founding Fathers and contrary to our very own Declaration of Independence. The words of the Founding Fathers leave no doubt as to what their view of the Arab Spring would be. There is no ambiguity about the fact that a tepid response to the Arab Spring, and even worse the obstruction of its progress, would cause the signatories of the Declaration of Independence to turn over in their graves. It is idealistic, but perhaps not practical, to take the position that the United States must always follow the vision of the Founding Fathers. If we did we wouldn’t have an income tax or a standing army. But the extent to which we’ve strayed from the core principles that our nation was founded upon is alarming, and when we’ve done so it has often been to our peril. One example is American support for authoritarian regimes in the Arab world. We supported Saddam Hussein in the 1980s and cooperated with Muammar Gaddafi in the 2000s only to later find ourselves militarily removing them from power when they proved uncontrollable. We supported Hosni Mubarak of Egypt, Ben Ali of Tunisia, and Ali Abdullah Saleh of Yemen only to be forced into embarrassing backtracking that hurt our credibility in the international community. Our support has not been forthcoming to the freedom fighters of Syria and the protestors in Iran. We have consistently supported authoritarian regimes in the Arab world because of short-sighted interests usually centered on regional stability and our capacity to influence authoritarian regimes more easily than democratically elected governments. It is very clear what the Founding Fathers would say about these policies as there is no way to reconcile them with a belief in Natural Law and the Right of Revolution. And it is equally clear what the Founding Fathers would say about the Arab Spring. 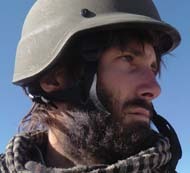 One year ago today on March 13, 2011 I was captured by Gaddafi’s forces during a reconnaissance mission in Brega, Libya. I was struck in the head and woke up in a prison cell to the sounds of a man being tortured in the room above me. I was psychologically tortured in solitary confinement for 165 days in two of Libya’s most notorious prisons, Maktab al-Nasser and Abu Salim. My life is over. I have thrown it all away. I will never see my mother again. I am an only child and she has no other family. I have selfishly left her all alone. She will never be able to move on and will spend the rest of her life trying to get me freed. If they ever release me I will be 50 or 60 years old and just starting my life when others are retiring. Hopefully I will still have at least a couple of years left with my mother. I will never see my girlfriend again. Six years of true love that most people only know of through books and movies. If I do get to see her again it will be in 30 years. I will meet her husband and her children, and wish they were my children, and think of what could have been. Gaddafi’s regime believes I am a spy. They will torture me. They will rip out my fingernails one by one until I confess. And then they will execute me. Perhaps in public. Maybe Gaddafi himself will preside over the execution, as they hang me by the neck in Green Square. That would not be the worse that could happen. At least a public execution would limit my suffering to a few moments before it all goes dark. A secret execution might be slow and painful. Or angry guards might break into my cell, stack tires up to my neck, douse me with gasoline and light me on fire. Maybe I am better off dead, so that my mother and girlfriend can have some closure. Maybe I should take my own life. I hope that the men I was captured with are ok. Are they still alive or were they executed? How did I get this wound on the left side of my head and why can’t I remember what happened? I know nothing except the confines of my cell. And it is likely that this cell is all I will know for the rest of my life. Is it wrong to fight for freedom? Is freedom worth fighting, killing, dying for? Have I committed a sin and is God punishing me for it? Or has God saved me from committing sin by taking away my mortal life to save my immortal soul? 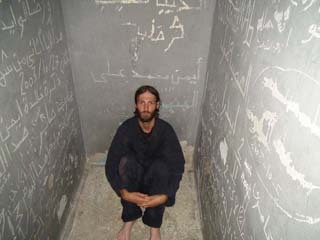 Was the freedom of others worth this sacrifice, worth spending the rest of my life in solitary confinement staring at gray walls and thinking of what my life could have been like if I hadn’t gotten on that plane and gone to Libya? These are a fraction of the thoughts that ran through my head for 5 ½ months. 165 days. Nearly 4,000 hours. Sitting in a wretched Libyan prison, staring at scratches on the wall marking the days of the prisoners before me and watching in horror as my own scratches became double and triple the number of theirs. My story is only unique because I am an American freedom fighter, an American prisoner of war in the Arab Spring. As you read this there are thousands of others in prisons who are tortured by the same thoughts, the same questions, the same doubts. Some of them have been in prison for many years; others were imprisoned for protesting in the street or fighting for freedom on the battlefield in countries like Syria. Many others suffer in these dungeons merely for something they wrote or an off-hand remark they made that was overheard by a regime informer. I was fortunate. On August 24, 2011 escaping prisoners came to my cell, broke the lock, opened the door, and took me with them as we ran for our lives. It is time that we begin doing the same for the hundreds of thousands of political prisoners and freedom fighters around the world who have sacrificed their personal liberty in the pursuit of liberty for all. Eisenhower’s answer to a question about the spread of communism in 1954 would later be developed by others into the domino theory. The theory was simple: if a country fell under the influence of communism, then neighboring countries would also, and communism would spread throughout a region. The domino theory became a major influence on American foreign policy throughout the Cold War. The concept of a domino theory was given new life in 2003. Termed the “Democratic Domino Theory” (or “reverse-domino theory”), it became one of many rationales for the war in Iraq. Some in the Bush administration believed that establishing a democracy in Iraq would lead to the spread of democracy in the Middle East, and lead to the overthrow of authoritarian regimes hostile to US interests. This was a short-lived iteration of the domino theory (and one that few have even heard of), and was discredited as years passed when the Iraqi model failed to inspire change in the region. Although Iraq was clearly not the domino that set off the chain reaction that many had hoped for, the Arab Spring has shown that the Democratic Domino Theory is alive and well. The dominoes are authoritarian regimes, and they are falling. Just a few years ago the dominoes appeared to be glued to the table, unmovable and permanent. Authoritarian rulers were grooming their children to take office when they died, and talk in the media and policy circles focused on hopes that the son wouldn’t be as bad as the father. On December 18, 2010 the world changed. Unrest erupted in Tunisia in response to a young man setting himself on fire in protest the day before. Tunisians took to the streets and within a month the regime of Ben Ali collapsed. The first domino had fallen. Inspired by the protests in Tunisia, Egyptians overthrew President Hosni Mubarak after two weeks of an intense standoff between the people and the regime. The Arab Spring was underway. Protests erupted across the Arab world, and in many cases the authoritarian regimes responded with bloodshed. Libya and Syria were the worst examples of how far the despots would go to cling to power, as they plunged their countries into civil war. 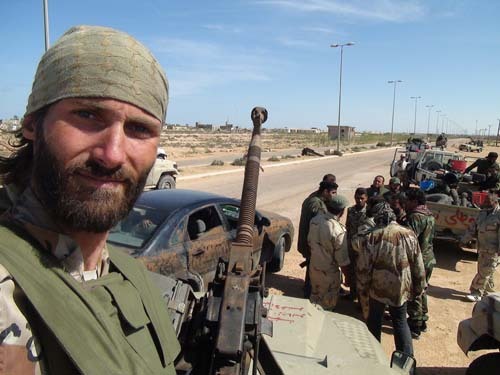 The Libyan civil war, which I fought in, was successful and we overthrew the regime of Muammar Gaddafi. As of this writing, however, Bashar Assad of Syria remains in power. How did all of this happen? The catalyst for the Arab Spring was social media. Expanded internet service gave Arabs access to social media like Facebook and Twitter, which allowed them to communicate and coordinate on a mass scale. Suddenly, it became possible to quickly call thousands of people to protest. Revolutions could be engineered with a few clicks of a keyboard. Social media became the turpentine that once poured on the table dissolved the glue that kept the dominoes standing. Ironically, it was the authoritarian regimes that paved the way for their own demise through internet access. Gaddafi’s son ran the largest internet service provider in Libya, Assad was head of the organization that introduced the internet to Syria, and internet service in Tunisia was mostly provided by Ben Ali’s government. After Ben Ali was overthrown the regimes learned quickly: a principal strategy of quelling Arab Spring unrest in their countries was to limit internet access. It is a significant intelligence and analytical failure that the Arab Spring took the West by surprise. The phenomenon was entirely predictable to anyone who had spent enough time in the region. The unrest was there, a seething anger waiting for the spark to ignite it. During my years traveling the region by motorcycle, living among the local population and making friends throughout the Arab World, I would hear the murmurs of discontent. Sometimes more than just murmurs. Arabs were usually cautious and reserved in their criticisms, worried about who was listening, but every now and then someone would reveal the truth about what people thought of their government. The discontent was boiling just beneath the surface. Add to this the ability to organize via social media and the formula for mass uprising was complete. But why did it spread so quickly from country to country, toppling authoritarian regimes like dominos? This too was predictable. A pan-Arab opposition to the governments of North Africa and the Middle East has existed for years, and has been stoked by Al Jazeera, the universally popular news network in the Arab World. Virtually every television in the Arab World uses a satellite dish, and with the unifying language of Arabic most get their news from arabic Al Jazeera. What a commentator says on Al Jazeera reaches the ears of millions, and the images shown can inspire the rage of even more. Additionally, pan-Arabism and a culture of protest already existed because of opposition to the policies of Israel and the West, particularly with regards to the Israeli-Palestinian conflict and the Iraq war. The authoritarian rulers applauded and helped incite these protests, unaware of the seeds they were sowing. There is also a history of political movements sweeping through the region. First was the spread of Islam. In the 20th century there was Arab Nationalism and Arab Socialism. Now is the time of the Arab Spring. Furthermore, Arab culture tends to emulate success. Many Arabs talk of wanting to develop their countries and introduce economic models to be like Dubai. 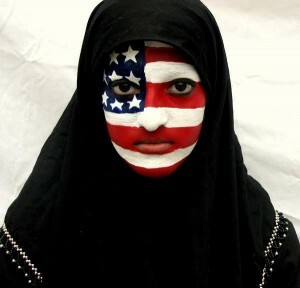 They want a democratic form of government because they see the freedom, liberty, and successes of the Western world. Even on a micro-level following in the footsteps of success is a tradition. When a friend or relative immigrates to another country and is successful, many more want to do the same. Imitation is inherent in culture, but from my experiences in the Arab World I have found it to be an especially strong force in North Africa and the Middle East. It was intuitive and predictable that once a regime fell, the Arab Spring would spread rapidly to other countries. The dominos had been arranged long ago, and that the regimes would fall in succession was just as predictable as dominos falling once the first is pushed over. Once Syria falls, Iran is the next major domino down the line. The loss of Iran’s main Arab ally in the Middle East will be devastating to the regime’s influence in the region. Iraq is slowly taking Syria’s place, but with extensive problems of its own, Iraq is a poor substitute. Sanctions have devastated Iran’s economy. Their currency has lost half its value, inflation is rising, and assets have been frozen. Iran will likely have to sell oil to Asia at discounts, in barter agreements, or on other unfavorable terms to stay afloat. The Iranian people are suffering the effects of their government’s policies towards the West and their pursuit of a nuclear program. A recent Gallup poll found that nearly half of Iranians claim there were times in the past year when they couldn’t afford to buy food for their families. 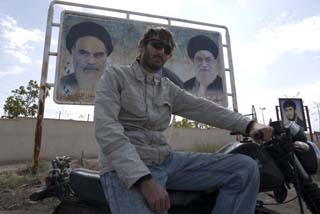 Iranians already rose up against the current regime during the Green Revolution of 2009. The government crushed it with an iron fist, and the world stood by and did nothing. Some Iranians have clearly demonstrated a desire for regime change, and now that those on the sidelines find themselves suffering under sanctions because of their government’s wreckless international policies, the conditions are being set for a larger uprising the next time. When Assad is removed from power in Syria it will be taken as a sign of Iranian weakness. 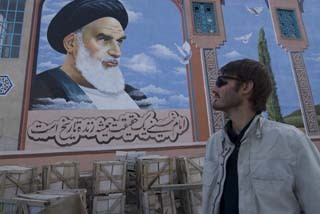 Iran’s nuclear facilities will likely be destroyed by an Israeli or American air strike at some point as well. This will also be viewed as regime weakness, and possibly anger some Iranians that they have suffered under sanctions for a program that their government couldn’t even defend. Finally, the Sunni Gulf Cooperation Council (GCC) countries, with Saudi Arabia at the helm, are engaged in a sectarian rivalry with Shia Iran that is rapidly coming to a head. They are energized and mobilized by the uprising in Syria, and have their sights set on further weakening Iran. Once they get rolling on Syria they won’t want to stop until their conflict with Iran is resolved as well. The Arab Spring has inspired protests around the world. Africa, Asia, Europe, the Americas, and even the island nation of Fiji have seen protests break out in response to the successes of the Arab Spring. Most of these protests did not amount to much – they were snuffed out by the regime or died off on their own, or had modest goals that were achieved. Africa and Asia, however, are two regions where change is long overdue. The dominos are almost ready to fall, and few of them will fall peacefully. As long as the momentum of the Arab Spring continues there is little that can stop a wave of democratization from leaping country to country, and region to region. Once one domino in these regions falls, it should accelerate the collapse of neighboring regimes. The countries of the free world have a responsibility to encourage and assist in the overthrow of authoritarian regimes. In the 21st century no man should have to live his life under an oppressive government. In 2010 only 11.3% of the world’s population lived in democratic countries. Of the 88.7% who didn’t, 37.6% lived under authoritarian regimes. This means that 6.12 billion people don’t live under fully democratic systems of government, and nearly 2.6 billion of them are ruled by authoritarian regimes. 2.6 billion. In the 21st century. There is no excuse for allowing this to continue. We have planted the flag of a democratic country on the moon, yet allow a third of the population on Earth to live under authoritarianism. Those of us who live under the blessings of democracy cannot abandon 2.6 billion people to medieval forms of government that corrupt and destroy everything it means to be human. The authoritarian regimes of the world have been weakened. The despots are scared, and they should be. They know what is coming. We can eliminate this scourge with an aggressive, unwavering strategy of isolating and destabilizing their governments, and supporting revolutions against authoritarian rule. The Democratic Domino Theory should be a major influence on US and EU foreign policy. The regimes are desperately trying to glue their dominos to the table (and the glue is often made in Russia and China) by better arming themselves, engaging in increased surveillance of their populations, and restricting internet access. There is a window of opportunity to liberate many more countries from authoritarianism while the momentum is still on the side of freedom. Allowing authoritarian regimes to learn from the mistakes of those that have fallen and further entrench themselves in power is a mistake that will have profound moral, strategic, and historical consequences for the 21st century.